The Life and Adventures of Santa Claus is a 1902 children's book written by Frank Baum.The story begins when Claus, as a baby, is found in the Forest of Burzee by Ak, the Master Woodsman of the World (a supreme immortal), and placed in the care of the lioness Shiegra; but thereupon adopted by the wood nymph, Necile.When he grows up, he moves from the Forest to the Laughing Valley, and becomes a toy maker. 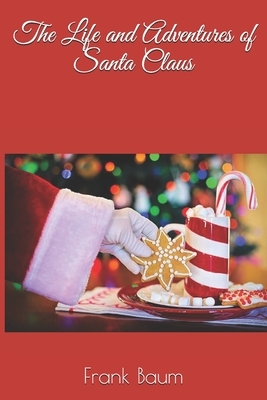 Every Christmas, with the help of magic beings, he distributes toys among children.The Awgwas, evil beings who can turn invisible, steal the toys that Claus is giving to the children, because the toys are preventing the children from misbehaving. The Awgwas nonetheless prevent so many of Claus's deliveries that Ak declares war upon them. The Awgwas are destroyed, and from that time on, Claus has no more obstacles to accomplish his mission, and earns the title "Santa" (Saint).Frank Baum (1856.